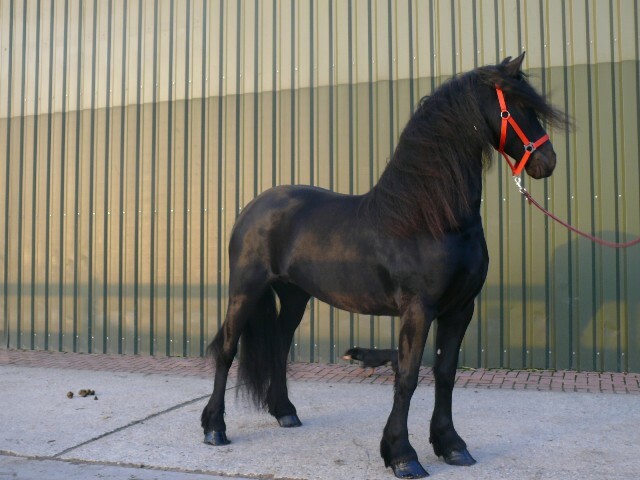 Jenny J was bought in Holland as a Premie 3 Studbook. She was riding and driving well before she started her breeding career. She is also a half sister to Leentsje J whose father also Monte 378. Jenny is that lovely racial type with lots of mane. She is very placid but can show herself when needed. She was also bred by the Jellesme family in Holland.